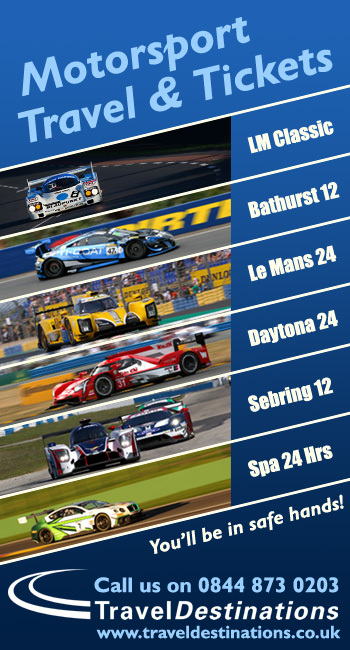 16 cars from the combined Daytona Prototype and P2 class were entered for the three days of on-track testing at Daytona International Speedway that now traditionally starts the North American season. It was a test with rather less controversy that in 2014 when the newly upgraded DPs hit trouble, with the times rather closer than we saw 12 months ago too. Heavy rain on the final day rather cramped the field’s style but the test times were topped overall by the Wayne Taylor Racing Corvette DP of Jordan and Ricky Taylor and Max Angelelli, a lap of 1:39.181 just over a tenth of a second faster than the TUSCC 2014 Championship winning #5 Action Express car. 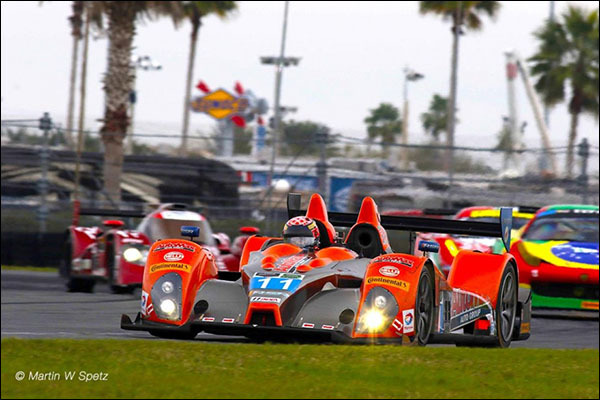 10 years ago this month Wayne Taylor and Max Angelelli co-drove with Emmanuel Collard to victory in the 43rd Rolex 24 At Daytona and Jordan Taylor’s lap in Saturday’s first track session of 1:32.181 has surely got the team eying an appropriate anniversary celebration! The team was in shakedown mode during the Friday sessions, their first official outing on the racetrack since last October’s victory by the Taylor brothers and Angelelli in the 2014 season-ending Petit Le Mans at Road Atlanta and the first public outing too for the car now clas=d (as are all the Corvette DPs, in C7 restyled bodywork. Jordan Taylor: “It was a good test. These days, you need to have the fastest car because, when you get to the final hour (of the race), you need to race everyone. Five years ago, we wouldn’t focus on a lap-time car. We’d just make it as comfortable as possible. Now, you need to work on lap times and race pace because you know you’re going to come to that last hour having to race for the win. “Day one this weekend, we just went through things that basically we needed to get through because we hadn’t run the car since the Petit Le Mans. So, I wasn’t really going for a lap time or developing the car. It was all about basically getting the drivers reacclimated to everything and getting used to the track again. 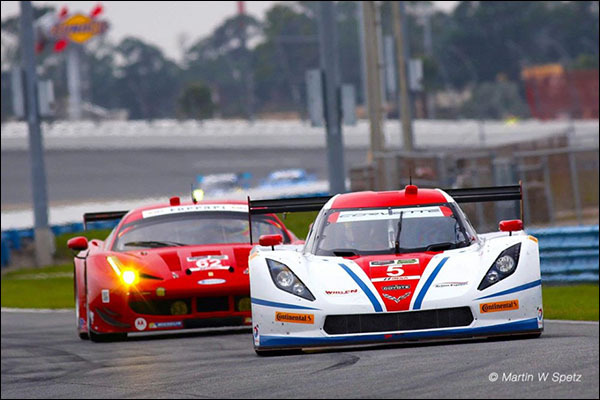 Action Express made it a 1,2 for the Corvette DPs in the overall times across the three day test, the 2014 TUSCC Teams Champions topping the times in the night practice session on Saturday evening with Sebastian Bourdais at the wheel for a 1;39.310. The defending event Champions were never too far from the top of the timesheet and look strong for the race to come in a fortnight’s time. 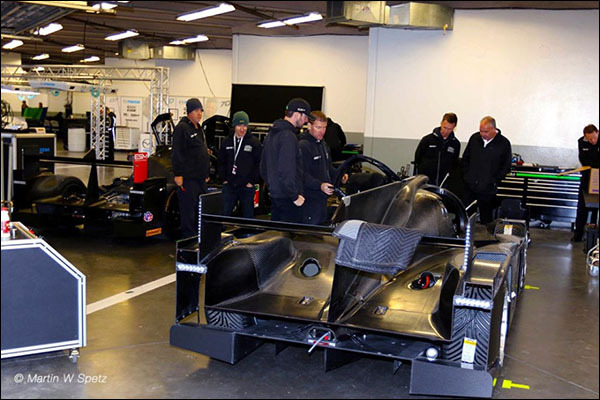 It’s a brave new world for the hugely experienced Michael Shank Racing crew with the switch being made over the close season from their Ford Engined DP to a new Ligier Coupe powered by the well proven HPD built twin turbo V6. 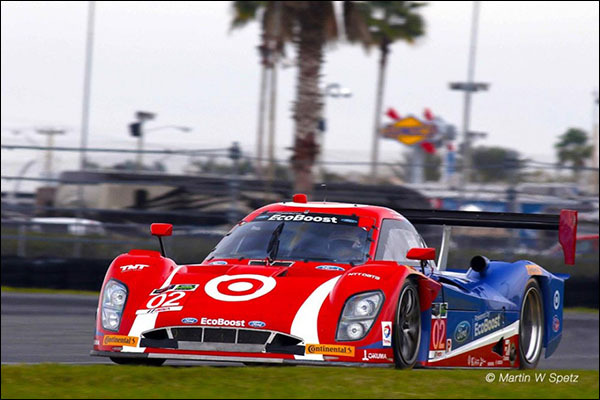 The team has a productive shakedown test with the new car last week at Palm Beach International Raceway and emerged from the Roar test in very positive mood, the car having scored the third fastest time of the weekend on Saturday afternoon in the hands of AJ Allmendinger, the time just a couple of tenths off the best in the test overall. 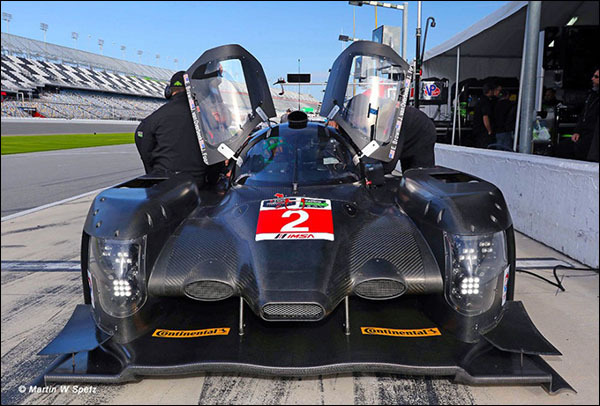 The team’s full Rolex 24 At Daytona driver line-up, John Pew, Ozz Negri and AJ Allmendinger as well as 17-year-old newcomer Matt McMurry, all took part in the test as the group learned the intricacies of the new machinery. The test provided a healthy mix of different track conditions with Friday presenting cool and overcast weather, while Saturday brought sunny skies and milder temperatures. Sunday’s sessions opened with “medium precipitation”, giving the team a chance to also learn more about the car in wet conditions and how it runs on the Continental Tire rain tires. The pair of CGR Riley Fords were both running well, and finished the test with the Riley’s very close together on ultimate times, the #01 posting a 1:39.397 and the #02 a 1:39.406. 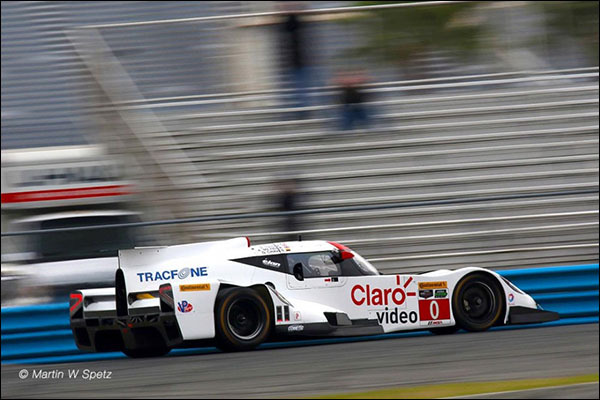 The DeltaWing Coupe, with new white livery and the newly signed Memo Rojas, put in some impressive times, the unique car ending the test 6th in the overall order with a 1:39.484, just 3 tenths off the fastest time of the test overall. 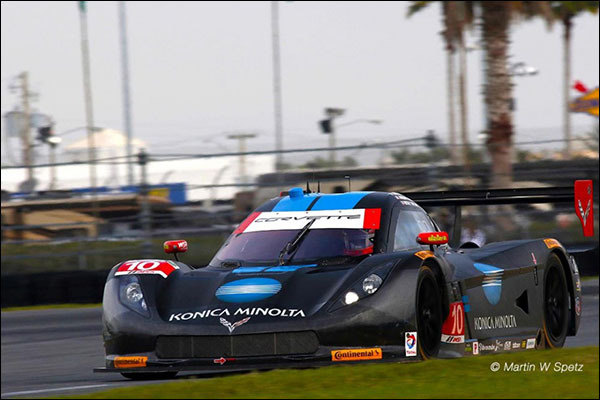 The #0 though was forced back to its race shop in Braselton, Georgia after an incident in Saturday’s afternoon session. The car sustained damage after another car hit the wall on the front straight just ahead of driver Memo Rojas. The team was working through the resulting differences in downforce when Rojas lost control in the kink and tapped the wall. The team decided the damage was too significant to repair at the track. 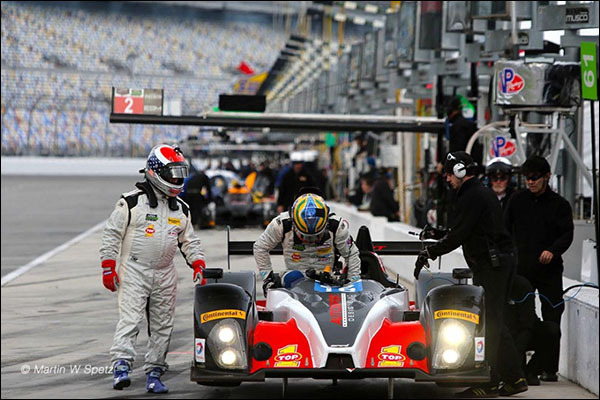 A pre-roar testing shunt didn’t cramp the style of the team previously known as Spirit of Daytona racing. Their now C7 bodied DP was right in the thick of things at the front of the field on pace with a best lap of 1:39.531 and with the car never really very far from the top of the timesheets. Action Express’s new customer team were pleased with their weekend’s efforts after posting a 1:39.907 in the Whelen sponsored Corvette DP. The team had a relatively quiet test, the Daytona line-up taking the opportunity to gel and leaving the test with high hopes of a strong run at the race in a couple of weeks time. 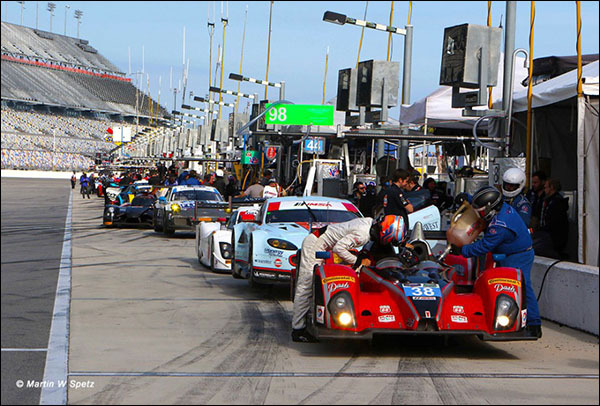 Sunoco Daytona Challenge winner Phil Keen joins the team for the Rolex 24 Hours: “I had a test at Daytona before the Roar with the opportunity to get a fair amount of seat time then so this weekend was mainly about getting Eric and Dane comfortable in the car. “The team is awesome, everyone is very helpful and having the input from the guys in the #5 car is great. I know Joao (Barbosa) well (both men drove for the Rollcentre Racing team) and he’s been very generous with his time too. 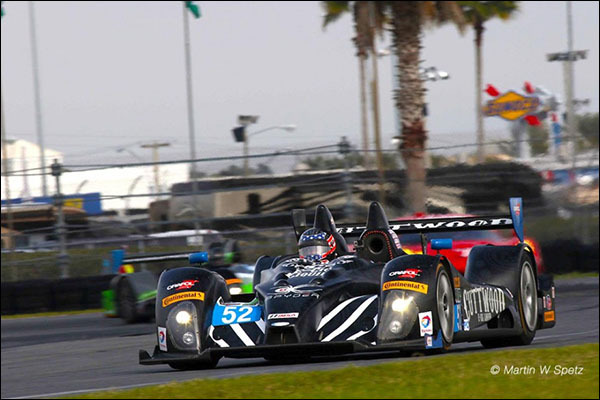 Starworks Motorsport waited until the closing minutes of Sunday’s session to get their headline for the weekend. With the track nearly dry following scattered showers throughout the day, the team bolted a set of slick tires on and sent out Rubens Barrichello, who promptly posted the fastest lap of the day by nearly five miles per hour. The car went much faster the previous day (1:40.201) to sit 9th in the overall order at the end of the test, the Sunday lap though saw Barrichello lap the 3.56-mile circuit in 1:47.230 (119.519 mph) and feels the team made major strides in preparation for the Rolex 24 At Daytona on Jan. 24-25. “Many people left because they were thinking the track was not going to dry. We stayed on the track because we needed the mileage. We put slick tires on right at the end, and I was able to get a fast lap. The cars I am running in Brazil are fantastic, but I was missing going 180 mph, because we don’t reach that in Brazil. It’s really good to be here, and I’m looking forward to the Rolex 24. 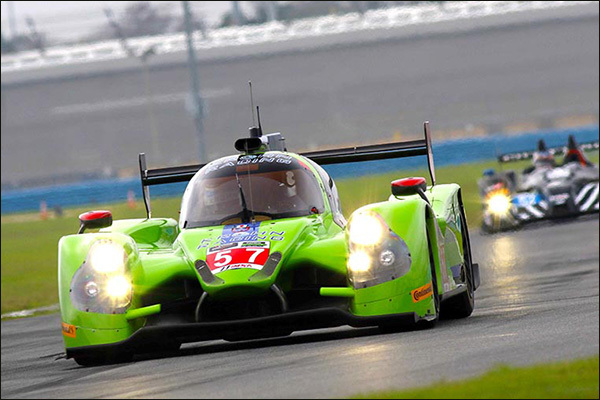 All four Rolex 24 drivers, Tracy W. Krohn, Nic Jonsson, Olivier Pla and Alex Brundle drove with the consensus from the engineers and drivers was that the test showed marked improvement with the Ligier-Judd and positive progress towards securing a reliable race-ready for the endurance classic race. 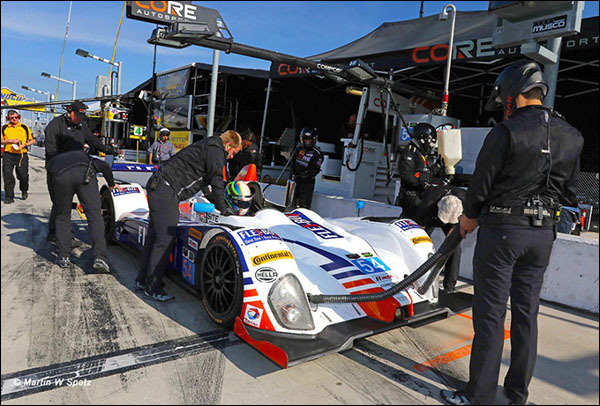 Hayden Burville, Krohn Racing Engineer: “The main reason to come to the Roar test, in addition to our previous Daytona test, is that we tested all four of our race drivers, which is an important part of preparing the team to be competitive and knowing the strengths of our driver line-up and how we’re going to deploy them strategically during the race. Nic Jonsson: “It’s very good to be able to be here for the first time testing with the rest of the competition and to get an understanding of where we are. We obviously came here before Christmas and ran for three days. And now we are just going through all the systems and make sure we can get the car to run somewhat decent on the Continental tires. Gary Holland, Krohn Racing Team Manager: “We found it a bit difficult at times this week to find a good balance in the car. 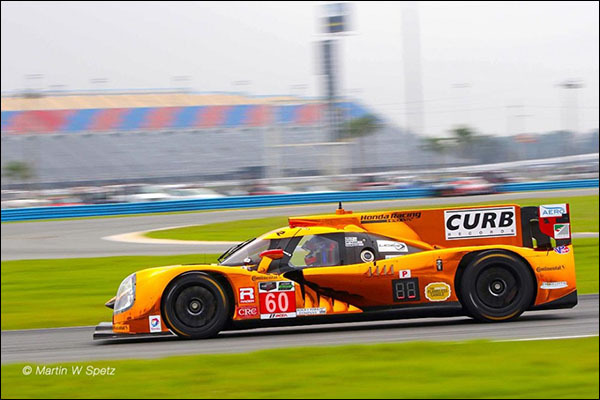 Krohn Racing engineering along with support from Onroak, have made some strides back to where we think we should be. You can see how powerful the DPs are and their performance is a step ahead of the P cars at the moment. The team arrived at the test with their second (#1) Honda Coupe not complete, and their hopes to complete construction and prep at the track failed to materialise with some required components not available. The first delivered #2 car though did run, the very new car producing a 1:40.621, 11th fastest overall. As always with a new LMP it’s good to see the car without livery applied, and happily the HPD continues the current P2 theme of looking very different to the other potential class contenders, the frontal aspect for instance very different from the Ligier and the mirrors embedded into the upper wheel arches attracting much comment too. Scott Sharp, Owner/Driver: “The car ran flawlessly. It was difficult for us because we were trying to finish the second car in the garage. Today (Friday) we ran six drivers in the one car. Our focus was cycling through the drivers, getting laps and being comfortable in the car. “The Roar Before the 24 is deceiving because you always think you have a lot of time here and that’s not the case. 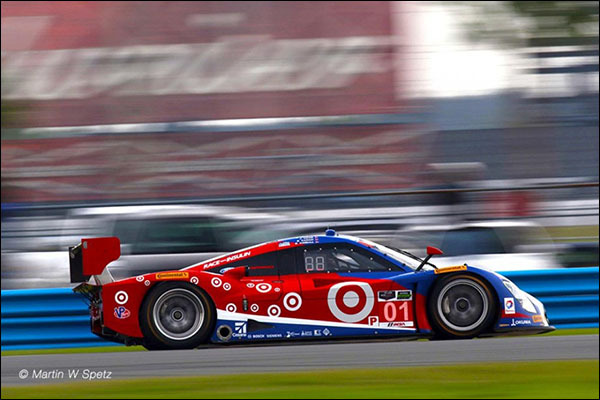 Before we know it, we’re qualifying and racing the Rolex 24. 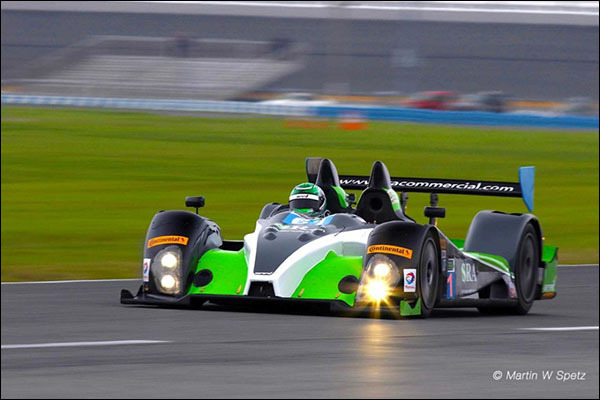 It is important that every Tequila Patrón ESM driver gets laps during this three-day test. We’ve worked through a few things. I think everyone is pleased so far. It was a solid start from the newcomer to the class ranks, Shane Lewis set the car’s fastest time (1:41.364) as RG Racing learned at a rapid pace about both their car and the challenge ahead. 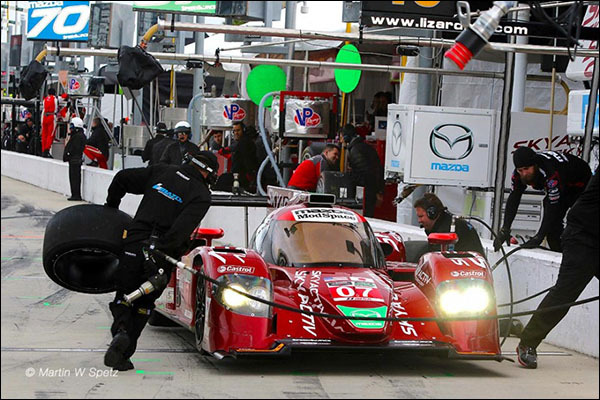 Whilst the pair of Mazda diesel engined P2 coupes weren’t at the sharp end of the field for the test (the cars finished the weekend 15th (#07) 1:42.124 and 17th (#70) 1:42.853over the three days), there have been major steps forward since the end of the 2014 TUSCC season. 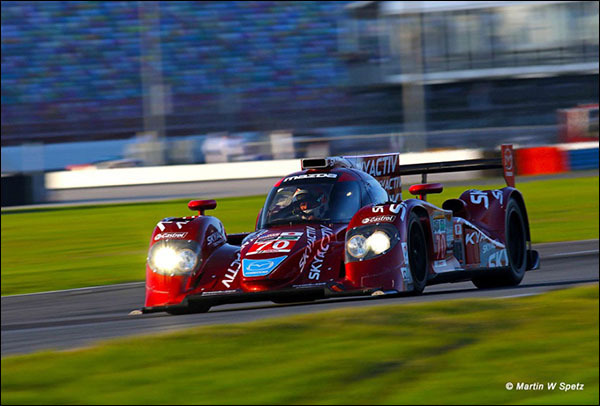 After struggling for both speed and reliability last year the cars arrived at Daytona with some solid development and testing already undertaken with the production block based SkyActiv powered cars. Jonathan Bomarito: “This is really my first weekend with the team and watching the program over the last year and seeing the leaps and bounds they’ve made from inside the cockpit is great. This entry marks Dorsey Schroeder’s return to racing for the first time in many a year. The fund raising effort is always conducted with good humour and the team needed all of that and more after a major airborne shunt on Saturday Morning on the start/ finish straight saw Byron DeFoor very fortunate to escape escape injury when he flipped the #50 Riley BMW after a tyre-related issue at the right rear of the car. The car was fully airborne, just missing the debris fence before ending up at the entry of Turn One upside down. The team though report that the damage to the car is easily repairable before the race in 2 weeks time. The car’s best time meanwhile was a 1:43.301 set on the first day. Eight cars ran at the test and with a little more power to draw upon the PC Orecas were in amongst the slower Prototype entries, the field separated by 1.8 seconds over the three days. 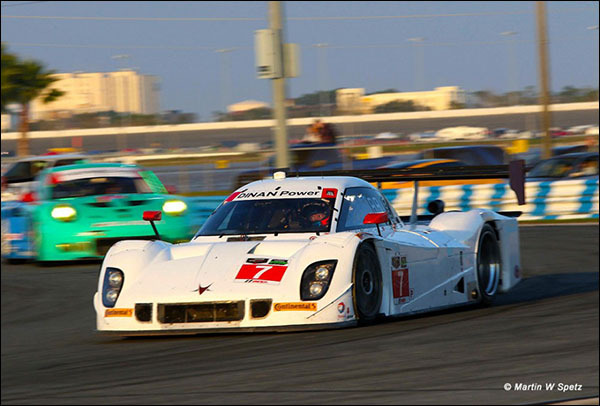 The reigning TUSCC Class Champions (and PC winners at the Rolex 24 Hours in 2014 too) started 2015 where they left off last year and topped the times at the Roar. Ideal conditions on Saturday morning saw Colin Braun set the fastest PC time of the event, a 1:41.769 (125.932 mph). 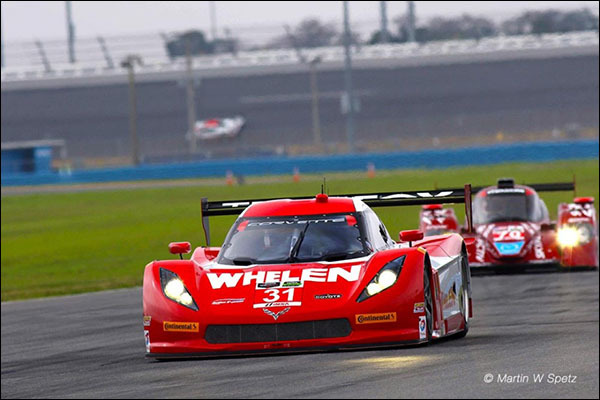 Braun’s PC pole time for the 2014 Rolex 24 at Daytona was a 1:41.777 (125.922 mph). Colin Braun: “Everything was good to go off the truck. We had a list of things we wanted to work through and try and continue to build on from last year. We were just checking things off the list. It’s nice when you show up at a test and it’s the same group of personnel. I think that’s a real big help for us. Nobody had to get used to anything, they just got right to work. “I think we had enough clear track time that we were able to accomplish what we wanted, but also get a taste of what it’s like in traffic. I think we definitely had less cars on the entry list and that made it a bit easier to get clear laps than in years past. “We have a reasonable grip on the new rules now. We had a mid-day rule change on the first day of testing. That keeps you on your toes, but we’re adaptable and ready to figure it out and that’s what makes us a strong group. It was a strong test from the RSR squad who topped the times in both the first and fifth sessions and were in the top four in every session they ran in. The team’s best time, a 1:41.865, came in the Saturday afternoon session courtesy of Bruno Junqueira. Peter Baron’s Martini liveried car was another effort to stay close to the top of the pack throughout. The team topped the times in two sessions, the second session on Friday and the seventh session of the Roar on Sunday Morning. 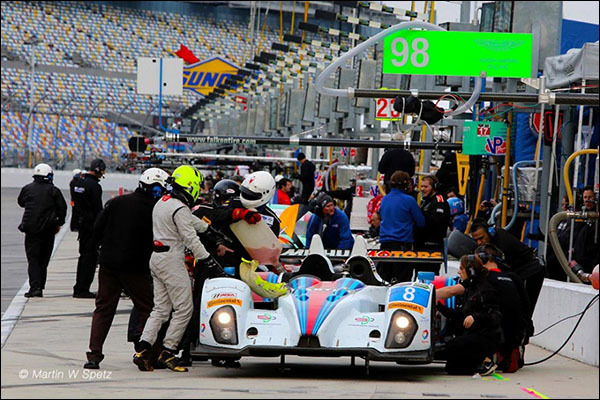 Johnny Mowlem: “It was a good three days of work. In the session that I ran new tyres we ended up second quickest and over the whole combined three day test we were fourth-fastest in class, so things are looking positive for the race in two weeks time. Tom Kimber Smith was a relatively late addition to the #52 squad for the test as the team looked to dial in their new look squad for the racing to come. Mid pack times were the order of the day with TKS’s 1:43.380 the best of the bunch from Saturday Morning. Steady progress throughout the test was a good sign for the JDC/ Miller boys, the car looking better as the test went on. A 1:43.507 the best of their efforts. No Dalton Sargeant for Performance Tech after the 16 year old was refused a license to race (or test) at Daytona. The team are now looking for an alternative third man. There was further trouble too after a shunt for Jerome Mee ended the team’s Roar on Saturday afternoon, a class propping 1:43.586 their best effort.